The Asian-influenced Norwegian Spirit is in a class of its own. Photo courtesy of Norwegian Cruise Line. 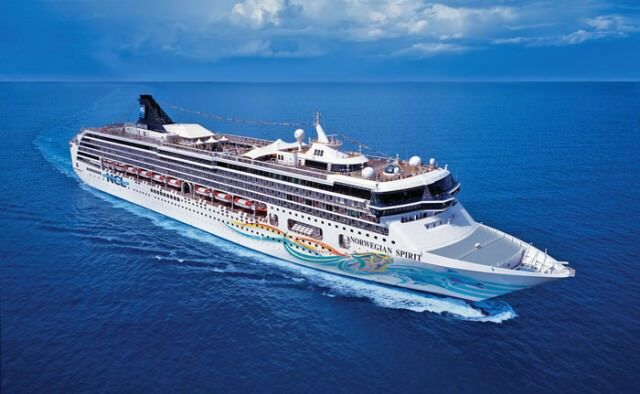 Launched in 1999 as the SuperStar Leo of NCL’s parent company, Star Cruises, the 77,000-ton, 1,966-guest vessel was transferred to NCL’s fleet in 2004 and renamed Norwegian Spirit. She offers a festive atmosphere, great entertainment, a slew of restaurants, awesome children’s centers and outdoor play spaces, fun decor, and comfortable staterooms, all at a fair price. Inside, the mood continues from the moment you step into the atrium lobby, with its cityscape vibe. Throughout the public rooms, decor mixes fun, nearly fantastic decor with a dash of contemporary and art deco styling. Top of the fun pyramid is Maharini’s, a lounge/nightclub that combines Indian Bollywood themes with velvety fashion-world curtains and daybeds scattered among mood-lit nooks. Like all the NCL ships, Spirit shines when it comes to entertainment. The multi-deck Stardust Theater seats almost 900 guests for some of the best production shows in the cruise world, as well as performances by the great Second City comedy troupe. 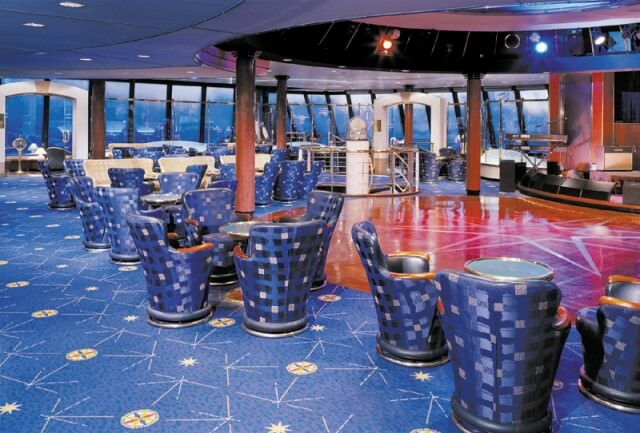 Up on Deck 12, the Galaxy of the Stars observation lounge hosts late-night music and dancing. 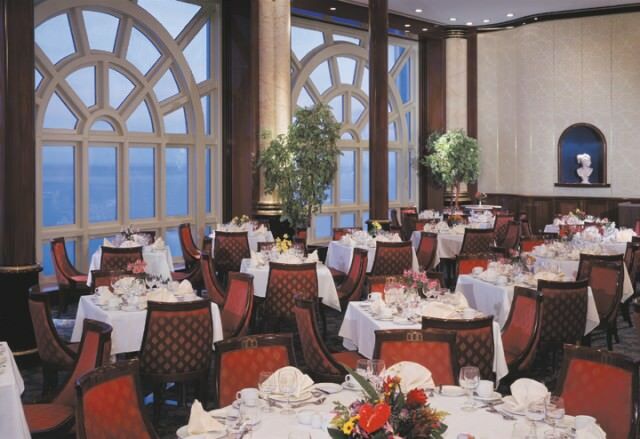 Gamblers head to the expansive Maharajah’s Casino on Deck 7, while folks with a taste for sophistication lounge stylishly at Champagne Charlie’s Champagne Bar. Beer lovers have three great options: Henry’s Pub, a British-themed bar with dart boards, a big-screen TV for sports, and tasty fish and chips; the Shanghai Bar, a sports bar with an Asian twist; and the Bier Garten and Grill outdoors on Deck 13, stocked with German pilsner, hefeweizen, and wheat beers, and serving lunchtime foods like bratwurst and sauerkraut. Other public rooms include a library, an Internet center, a card room, and a writing room. Kids get the huge, bright Charlie’s Child Care Center in the stern on Deck 10, outfitted with cozy TV rooms, a huge climbing maze, and great crafts, play, and computer areas. Just outside, there’s a fantastic, pirate-themed kids’ pool area with a paddling pool, water slides, and a kid-size Jacuzzi. Teens get their own hangout space called the Celebrity Teen Disco, way up on Deck 13. Outdoors, Spirit’s resort-like Tivoli pool deck has a European look, and is centered around a large pool and five hot tubs. Up in the bow on that same deck is the ship’s spa, with its multiple treatment rooms, steamrooms and saunas, beauty salon, and indoor Aquaswim jet pools for doing laps in place. A fitness center is next door, and there’s a basketball/volleyball court and golf driving net outside. In the stern, beautifully tiered decks look down over the kids’ pool area. Standard staterooms are comfortable if not plush, decorated in a pleasingly modern style with woody paneling and accents. The rooms are pleasant and livable, with TVs, and somewhat more than a third of them offer private balconies. Outsides range from about 157 to 201 square feet. At the high end, the ship offers three different categories of suites, including the Aft-Facing Owner’s Suite with its separate bedroom and living/dining room, huge bathroom with whirlpool tub, and large aft-facing balcony.